Which movie dystopian future is most likely to happen? The Hunger Games: Mockingjay Part 2 is released today, concluding the post-apocalyptic saga once and for all. A bunch of teenagers are forced to fight to the death because of a previous rebellion against the Capitol, the rich centre of Panem (a nation in what used to formerly be North America). 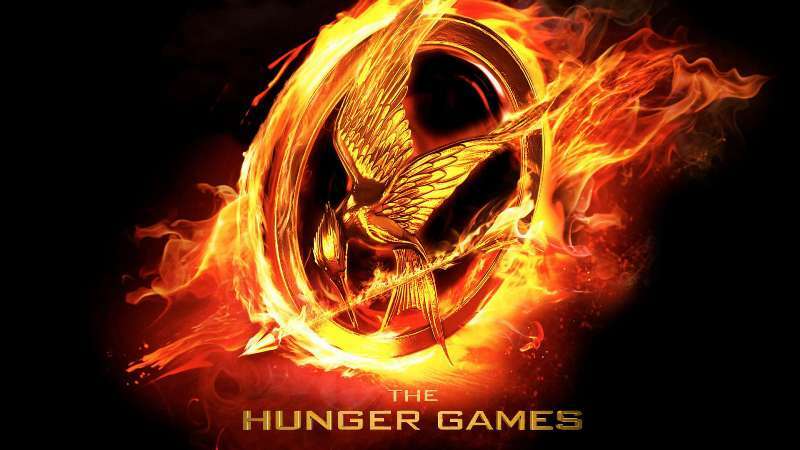 One participant in the games, Katniss Everdeen, decides she’s had enough and starts a new rebellion. No matter how bad things get, we can’t imagine children being forced to kill each other in the name of entertainment. The rebellion theme is fairly relevant even today, though, with anti-government protestors in Thailand adopting the three-finger salute. At some point in the future, it’s likely that we’ll create conscious robots who can think and feel. However, it’s quite a way off yet. Flying cars could be with us much sooner, though. Two companies, Terrafugia and Aeromobil, have been working on the technology, with Aeromobil planning to start selling their model in 2017. How likely is to happen? We might already live in one. Actual real scientists claim that cosmic rays, which always arrive at earth with a specific maximum energy, could be proof that the universe is a simulation. That theory is, of course, hotly disputed. In the event we aren’t currently in an intergalactic version of The Sims, artificial intelligence could become advanced enough for machines to eventually try and take over (as predicted by none other than Professor Stephen Hawking, among many others). Virtual reality, meanwhile, could get good enough to fool us all. Droughts, nuclear war and basically everything else that could go wrong leave the world as a wasteland. Tribes duke it out over water and supplies, with lone wolf ‘Mad’ Max Rockatansky usually caught in the middle of it all. Wars tend to end with huge ridiculously entertaining car chases. Well, nuclear apocalypse is always a possibility and climate change will alter our planet eventually, but the world of Mad Max would be much more depressing in real terms. The impact of nuclear war would blot out the sun, start a new ice age and – surprisingly – see the planet return to a lovely lush green. We prefer the Mad Max version, to be honest. Those flippin’ robots from the future are at it again! This time, they’re sending back Arnold Schwarzenegger from the future to kill the leader of the human resistance (or his mum, either will do) so they can win the great human-robot war. As you read in The Matrix section, quite a few prominent scientists are worried about artificial intelligence. The theory is that once AI gets clever enough, it’s going to get bored with us humans and either a) enslave us all or b) kill us all. Lovely! The time travel element of The Terminator makes it a bit less likely, fortunately. While some scientists claim time travel is possible, almost all theories on the subject claim that it’s impossible to travel back in time. Of course, those clever machines could always figure it out and flood the world with naked Austrian robots. Let’s hope not, eh? Joe Bauers, an average man, is suspended in time and awakens 500 years later, in a future where people are ludicrously stupid, corporations are all powerful and an ex-wrestler is president. Joe is eventually identified as the most intelligent man in the world. Some people claim it has already, pointing to the ridiculous political process, massive portion sizes and the quality of TV as evidence. Still: we’re all having fun, aren’t we? A group of DAMNED DIRTY APES (© Charlton Heston) rule a planet and keep humans as slaves. Charlton Heston later discovers that the planet is [SPOILERS FOR A 47 YEAR OLD FILM] is actually Earth and starts screaming at a buried Statue of Liberty. If you’ve been to the zoo recently, you’re probably feeling pretty relaxed about this one. Don’t be. Scientists reckon that we may be able to identify the genes governing intelligence soon, which means we could inject them into apes and embrace our new simian overlords. The good news is that most of the scenarios in this post won’t happen for a while yet, so you’ve still got plenty of time to sell DVDs! Click below to get started.